Features exclusive content available to BA members only, including extensive statistical data, presentation archives, technical information (covering hops, keg repatriation, and other topics), message boards and committee meeting minutes. Free multiple subscriptions to The New Brewer magazine for staff members. Free multiple subscriptions to the Brewers Association Forum, a daily, moderated email digest connecting you to more than 4,400 participating members. Annual Beer Industry Production Survey reports the growth of craft beer industry; featured in the May/June issue of The New Brewer. Power Hour is an online, interactive teleconference series on regulatory, marketing and other information six times per year. Registration discounts of $220-$245 per person for the full conference rate at the Craft Brewers Conference & BrewExpo America. Discounts on pre-publication releases, along with free additional copies of the current Brewers’ Resource Directory for brewery-level members. On top of all this, we also now have access to the wonderful staff at BA for the various specific and unique questions we’ll have along the way. I’ve had beers with a bunch of people who work there, and they’re awesome. It’ll be great to work with them in a professional capacity as well. We’re really excited to start diving in to these resources. The business plan writing and other key planning stages are under way, thanks to the help of two recent DU MBA students and one current one. This membership should help with that planning. I’ll be sure to share as we go. If you’re a brewer and read this blog, what are your thoughts on BA, the membership, and the services they provide? NOTE: Please see the update at the bottom of the post. According to some potentially sweeping legislation, the difference between synthetic caffeine and coffee beans doesn’t matter. So what, you might ask. Alcoholic energy drinks are a somewhat recent phenomenon. Over the past 5 years or so, numerous companies have entered the malt beverage market with caffeine-infused drinks. One you might have heard of is Sparks. Essentially, take Red Bull and Smirnoff Ice and can it. While there haven’t really been any studies to confirm that these beverages are dangerous, public outcry after the deaths of some college students who had been drinking similar beverages has caused a federal legislative movement. A few states have already enacted their own bans on these drinks, and the FDA is expected to rule shortly as well. The issue comes in the form of loose, vague, and overarching wording. In banning caffeinated alcoholic beverages, naturally occurring caffeine, from coffee, tea, and chocolate, would also be banned. 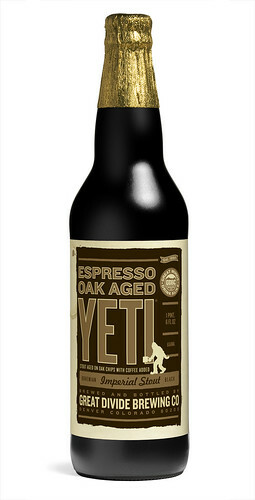 So not only is Four Loko going to be banned, but Great Divide Espresso Oak Aged Yeti would also be taken off the shelves. I personally won’t mourn the loss of Joose, but Youngs Double Chocolate Stout will be missed. The ban on these drinks needs to be more specific. If I want to add some tea to my boil, or some espresso in secondary, I’m not doing so to give the consumer an energy boost; I’m doing it to add flavor and complexity. These natural ingredients need not be banned. Boulder, CO • November 16, 2010—The Brewers Association announces today that it will formally petition the U.S. Tax and Trade Bureau (TTB) to conduct rulemaking on alcoholic energy drinks. The petition seeks to disallow synthetic and pure caffeine additions to alcohol beverages, but allow incidental caffeine from ingredients that have a long tradition in brewing, such as coffee, chocolate and tea. The petition seeks to clarify that coffee, chocolate, herbs, spices, seeds and fruit are ingredients that should remain available to brewers to make beers for responsible enjoyment by beer drinkers. Certain alcoholic energy drinks have received significant negative attention from state attorneys general, public health groups and concerned citizens. Many states are taking action this fall before the federal government has responded, leaving a patchwork of different regulatory wording, all with the same intention. The goal of this federal petition is to provide a clear and consistent national standard to assist state-based rulemaking under the 21st Amendment. This standard would remove the products of concern from shelves without creating unintended damage to the hundreds of craft brewers who, for many years, have been using traditional ingredients like coffee, tea and chocolate to responsibly craft interesting and flavorful beers. Brewers Association President Charlie Papazian stated, “Responsible brewers have successfully used coffee, chocolate and tea to add interesting flavor and complexity to their beers for decades. In fact, the Aztecs brewed a corn, honey and chili-based beer that contained cocoa. Many craft brewers build on these traditions today using coffee, tea and chocolate. On the other hand, the addition of artificial caffeine not from a natural ingredient source has no heritage or tradition in brewing. We support a ban on the direct addition of caffeine.” The Brewers Association invites TTB to open up public comment and rulemaking on whether these products are appropriate for responsible consumption. My office is about a block from Wynkoop Brewing. It’s also a block from Falling Rock and about six from Great Divide. But this story is about Wynkoop. I went there for lunch about a month ago, and had some of their chili beer, called Patty’s Chile Beer. It’s got a great chili smell and a slight pepper taste, but almost no spice to it. It falls under how I describe most of Wynkoop’s beer: a very balanced flavor that doesn’t go far enough for my palette. I love what they do there, and what Wynkoop has done for beer in Denver, it’s just not my favorite. Or second favorite. Or.. anyway. One day, we'll use this many ghost chilis in one batch. A few days later, I got to try some of Nick Nunns’ chili beer. It had some zing to it. It made me realize that you can make a great beer with veggies in it. So, Kell and I set out to make our own. I did some research on spices, looking into the Scoville Scale, and started doing math. 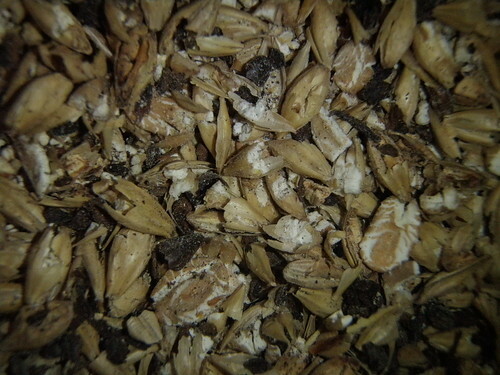 Side note, per Nick’s suggestion, I think I’ll make a Scotch Bonnet Scotch Ale one day. Anyway, we wanted to make it spicy. Not unbearable, but not for the faint of heart either. The goal was to make a beer as spicy as a jalapeno. Armed with this equation, and the incredibly inexact Scoville Scale example ratings, I was ready to do math. So, diluting 1 Serrano pepper into a pint of water would result in the water having a Scoville rating between 104 and 260, or the equivalent of a Peperoncini. And to test, we tasted the water. Having tasted a Serrano seed previously, which made my mouth burn a bit, this solution wasn’t very spicy. It appeared the math was correct. Now we wanted to add peppers to the boil. At first, we were overly cautious. I didn’t trust the math, even though we’d just proven it’s reliability. We determined how many points one Serrano would add to a 5 gallon batch, using 12,000 points as an assumed rating for a Serrano. Why? No reason. There are 768 teaspoons in a gallon, or 3,840 in a 5 gallon batch. One Serrano pepper in a 5 gallon batch would increase the Scoville rating by 3 points. For some reason, we didn’t really believe this. We thought it would be much higher than that. So, we added 6 Serrano peppers and hoped it would be spicy at secondary. Mind you, that’s a total rating of almost 20. 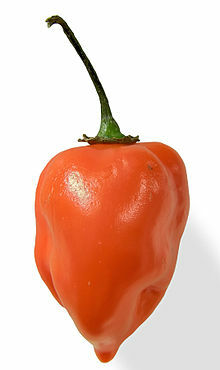 A bell pepper has that rating. Being cautious, intelligent men, we took the obvious next step. 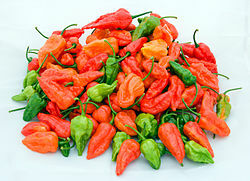 We added 5 Habanero peppers, which gave us a total rating, including the 18 from the Serrano, of between 408 and 1,383. A jalapeno has a rating between 2,500 – 8,000. We’re close. We tasted along the way, adding only one pepper at a time, and the last taste was definitely spicy, but not unreasonable. We just finished bottling it, and it has some heat. It appears the math was mostly correct, especially considering the inaccuracies of the scale and my ability to measure things. In about 10 days we’ll see how it turns out. For the recipe, I tried to do something close to a pale ale, substituting most of the hops for peppers. I didn’t want anything too hoppy, or too anything, as the pepper was the ingredient I wanted to accentuate. And, it being a first attempt, we went with extract. Why don’t you own a brewery yet? That’s really what it comes down to. Why the hell doesn’t Mad Haven exist yet? I’ve got a bunch of excuses, but pretty much it boils down (pun intended) to laziness and fear. Two things that I’m kicking to the curb. Laziness. As much as I’m not built to sit behind a desk and work a scheduled life, it’s easy.. Or not easy, but stable. Consistent. Steady. It’s not that I’m afraid of working 18 hour days, shoveling mash out in the morning and then slinging the craft across town all night. It’s that it’s easier to sit on the couch or go out with friends than plan all that needs planning. This is a terrible excuse, and I’m done with it. Fear. It turns out, brewing is quite the endeavor. From the myriad of mistakes that can happen from the time the grain is crushed to the time the beer is packaged, so the plethora of other mishaps waiting just around the corner of every step, it’s a scary undertaking. The investment is pretty serious, at least for someone in my point in life. I’d like my rate beer rating to be the same as the fail rate in the industry (hint: somewhere in the 90% range). And when the time comes, I’ll leave the security of a salary and benefits for the adventure of a start-up. But enough whining, enough excuses, and enough babbling. There are risks in everything. The reward, the benefit, the adventure, and the beer outweigh all the little things that pop up. I just went on a search for fun quotes about taking a risk. And this one came up. And I like it. So here’s a promise. It’s not to any of you reading this, though I hope you’ll help hold me to it. It’s a promise to myself. I’m going to see the easier way, and choose to ignore it. I’m going to see the risks, and find ways to avoid them or mitigate them to an acceptable level. I’m going to keep moving forward. I’m not going to stall any more. I’m not going to sit idly by and dream. I’m going to open a brewery. I’m going to open Mad Haven.